Besides Apple's foundry darling TSMC, Samsung will be the main challenger in the battle for leadership in the production of chips using the complicated 7nm process. Samsung's chief of the semiconductor LSI division called the technology "challenging" during the quarterly results press conference, yet mentioned that Samsung expects to become a leader there. Why? Well, it will be the exclusive producer of second-gen 7nm chipsets, made with the so-called extreme ultraviolet (EUV) lithography equipment that helps laying down the minuscule transistors close to each other without too much drama. Samsung just announced that it kickstarts the EUV production in a lengthy post describing all the advantages that it will bring to future mobile chipsets that are crafted in its foundries. We will spare you all the juicy argon fluoride against ultraviolet details and will go straight to the benefits for the end user. Since today's mobile processors are powerful enough, we'd wager to guess that the designers of the future Snapdragons, Exynos or AX Bionic chipsets will opt for a diminished toll on battery life, and the space saved by the EUV method will be utilized for something else in the increasingly crowded smartphone internals. Korean media reports today that the first customers for the new lithography will be Qualcomm with its upcoming 5G modem, and Samsung itself, but mum's the word if the eventual Galaxy S10 Exynos model will be made with this improved 7nm method. And we knew exactly which is the winner. $1200 vs $300. Spoiler : $300 won most of it, lol. Those are not chip manufacturers. No....but those are the chips competing. Then it's offtopic, because it's about 7nm production by samsung. And apple will still beat them to the punch. You mean TSMC, as Apple doesn't manufacturer hardware. But either way, even if they do beat them, it's all the more beneficial for us so more power to them. Just for those curious, this will not change the fact that the Snapdragon 855 will use TSMC as their provider. Samsung won’t have the yield to mass produce Qualcomm or Apple chipsets until 2020 (according to their own estimate). They have begun production with just 1500 chipsets being built a day - that’s not enough for global demand but enough for an Exynos processor. 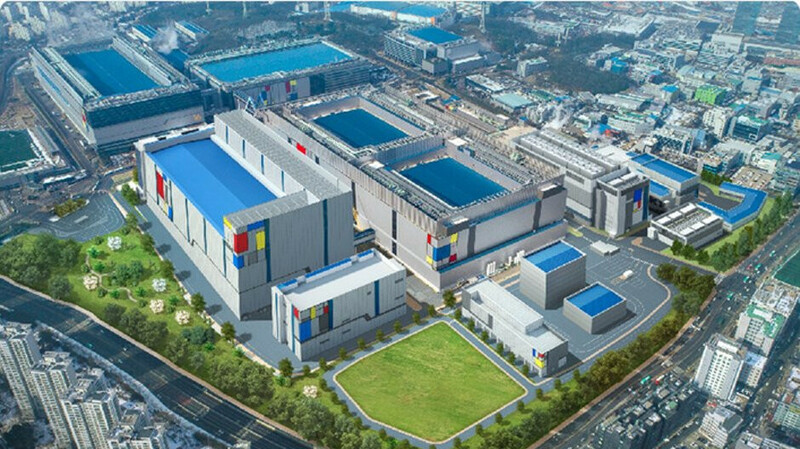 TSMC has started risk production using their own EUV process too, so by the time Samsung is ready for mass production TSMC will have similar technology. TSMC hasn't actually started risk production yet, merely paved the way to start it sometime next year, meaning it'll be at least a year behind Samsung when it comes to high volume production. TSMC isn't expected to start using EUV until 2020, if not 2022 on 5nm EUV. Samsung is expected to bring it to their own Exynos SoC next year, although there was a little rumor that Qualcomm might shift part of the production to Samsung for the SD8150, as TSMC supposedly struggles with the yields of 7nm production, at about 50%. You actually think Samsung will have 7nm EUV before TSMC? At best, they'll have EUV at the same time, but TSMC will still have all their current 7nm (non EUV) customers (50+), ready to convert to EUV, while Samsung only has itself as an 7nm customer.